Reversomatic is also a Kitchen Hood manufacturer – see our wide variety of kitchen hoods featuring our Energy Star range hood model 4000-250ES, attractive low profile, slim design with a rounded front and mitered corners to compliment today’s stylish and modern kitchens, captures air borne grease and oil and traps these unwanted contaminants in the extra large washable aluminum mesh. 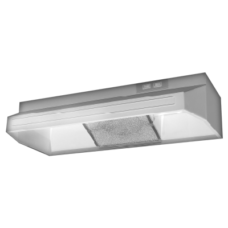 Powerful high performance range hood with centrifugal blower wheel is capable of exhausting all pollution such as steam, smoke and odors by using powerful but quiet motors under most design conditions. You decide the noise level and the exhaust capacity you need for your changing cooking requirements by using infinite controls. Reversomatic kitchen hood manufacturer made 1000-225 and 1000-160 models, a range hood that offers real value… yet combines outstanding design with features that are perfect for new or remodeled kitchens. Modern styling, dependability, excellent air movement plus choice of two ducted and non-ducted. 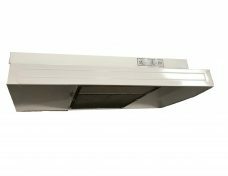 Model 2000-130 and 2000-200 Deluxe range hood are ducted (3 1/4″ x 10″) range hood offers modern styling, dependability, excellent air movement, centrifugal blower wheel, equipped with variable switch and powerful motor for excellent aspiration. 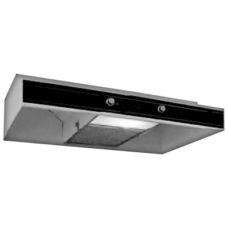 Reversomatic kitchen hood manufacturer also have an Ultra deluxe model 3000-300 & 3000-475, a handsome decorator model Ultra deluxe with powerful twin-blowers to efficiently clean the air with exceptionally quit. 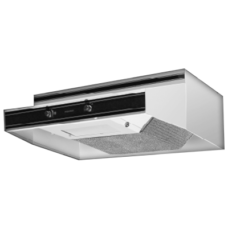 Deluxe 400-200 model, attractive low profile, slim design with rounded front and mitered corners to compliment today’s stylish and modern kitchens, power full and high performance range hood with centrifugal blower wheel is capable of exhausting smoke and odour under most duct design conditions. It offers a unique streamlined design that will maintain its elegance in any kitchen, solid state speed control gives you an infinite range or settings. Easy installed and it has a prewired junction box with plug in motor, also convenient top or back wiring entrance and keyhole mounting slots. The International model 4000-300 and 4000-400 are exclusive design keeps your cooking area and the rest of your kitchen clean, high performance and efficient. Attractive low profile, slim design with rounded front and mitered corners to compliment today’s stylish and modern kitchens, draws air from three distinct areas for quick and efficient ventilation. The mitered corners allow for full opening of adjacent cabinet doors, easy to clean no tools required to remove the washable aluminum mesh filter, available in white or almond 30 inch width 340 CFM or 240 CFM, Energy efficient impeller over motor design and infinite speed control.